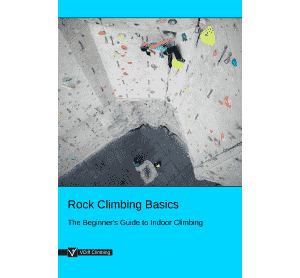 Packing a haulbag is a little more complicated than packing your duffle bag for a weekend's climbing trip. 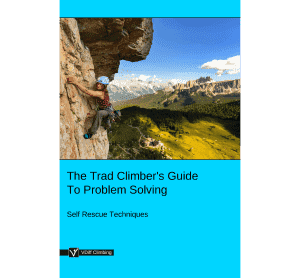 If you don't do it well, you'll end up losing essential items at the very bottom, or be unable to get at your food unless you pull out all your water bottles and bivi gear, probably dropping most of it in the process. Avoid this by packing properly at the base and re-packing in a logical order after a night's sleep on the wall. Haulbags like to be packed in layers. If you have more than one haulbag you can pack each one in the same way. Once you've got all your stuff to the base of the route, position your haulbag where it'll be hauled from. The first items to go inside are your haulbag straps. The haulbag will be way more likely to get stuck and dislodge rocks if you haul with them on. Take them off and pack them away. Line the inside of your haulbag with cardboard. This will help to stop holes from wearing in the sides when you drag it up slabby ground. It's a good idea to use 'stuff sacks' to keep things together. 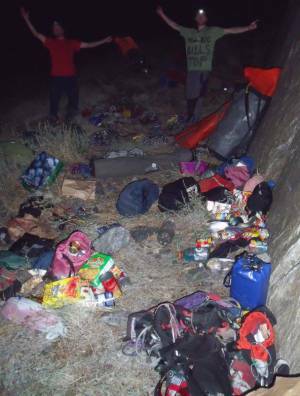 Otherwise, smaller items will wriggle their way to the bottom, only to be discovered when you empty the haulbag on the summit. Use stuff sacks for food, clothes, toiletries and other small items. 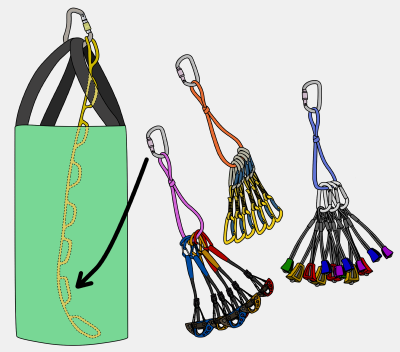 Use ones with a secure clip in point so you can hang them from your belay. Spare food and water will go in the bottom layer, along with celebratory summit beers. You'll probably also fit the final day's food and water in this layer too. 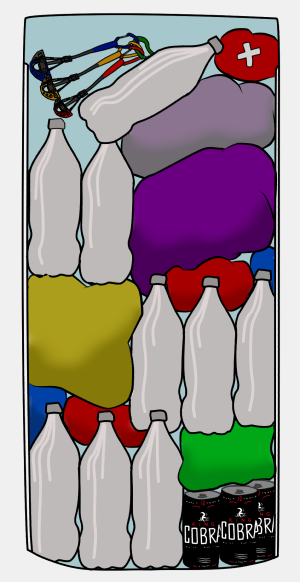 Stack water bottles upright and cram your stuff sacks of food inbetween them. 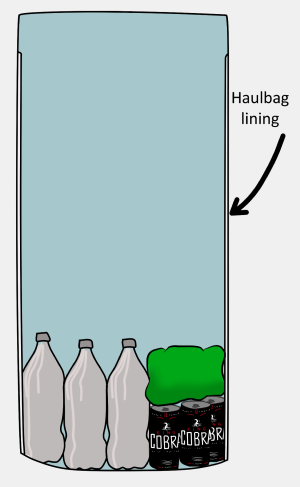 You should fill this bottom layer well because it'll keep the haulbag's wide shape when it's hanging from it's straps on the wall. Follow this with a layer of food and water you'll need to get at in a day or two. Next up will be your bivi gear (sleeping bag, stove, toilet roll etc..) and anything you don't need until the evening. All of this should fill about half of a full sized haulbag. 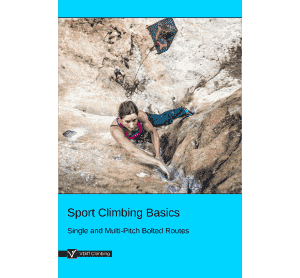 You'll easily be able to reach anything in the top half, so fill the rest with the stuff you might need during the day, making sure to keep a bottle of water and some food on the very top along with your first aid kit and some spare clothing. Spare rack can be packed in this layer too. If you have a huge spare rack of obscure aid gear, it's worth taking an extra smaller haulbag (a rack bag) to put it in. 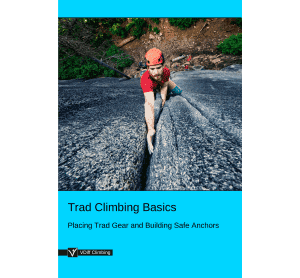 Attach the rack bag to the main hauling point so that it hangs alongside the main haulbag. If using a rack bag, group the same type of rack together on 'racking' slings. Use an internal clip-in system to clip your racking slings to. This way, you won't accidentally drop all your cams when pulling out your piton rack. You can attach your portaledge to the straps underneath your haulbag, or to your main hauling point. 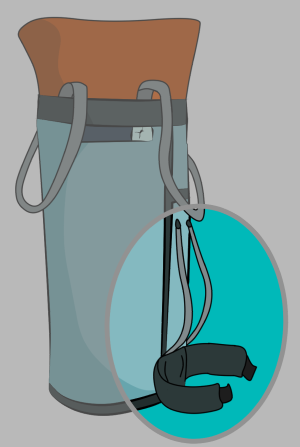 Your rainfly can hang on these straps too (packed inside a durable bag) if there's no room inside the haulbag. You could also attach your poop tube to these straps, but a better way is to attach it to a piece of cord (4 or 5 meters long) which is clipped to the main hauling point. This way, it hangs out of smell-range below everything else and can be pulled up quickly in an emergency!